The most versatile merchandising solution on the market. VersaRack is the ultimate gravity shelving system on the market. 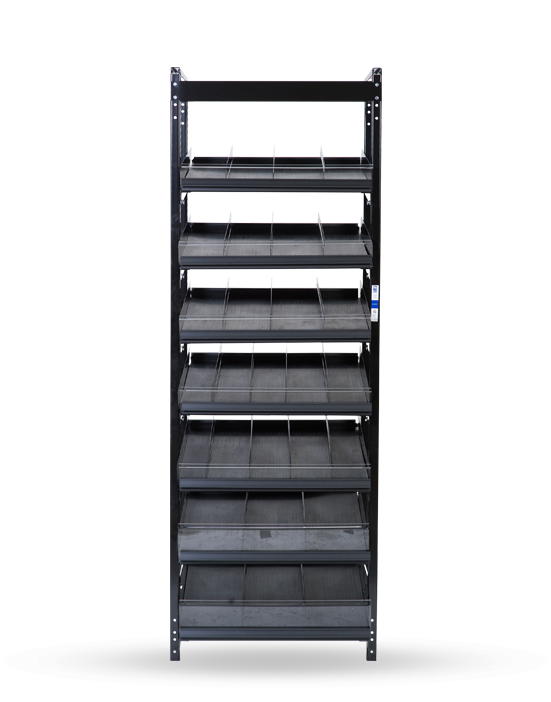 The unique versatility of this product allows merchandisers to face a variety of product offerings on a single shelf. 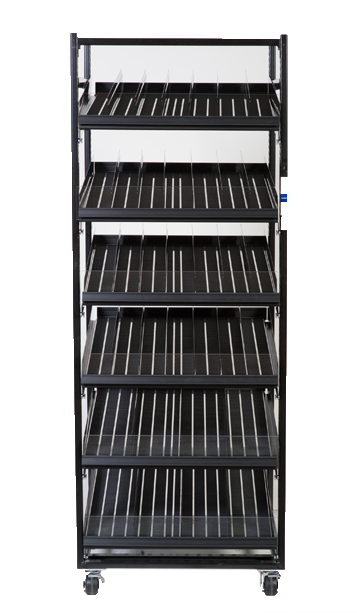 Utilizing our proprietary glide sheet and adjustable patented dividers ensures continuous facings and increases sales with an estimated ROI of 9-12 months with our complete VersaRack shelving package. Traditional shelving does not meet the needs of today’s wine market because the top shelf is unreachable for many shoppers. 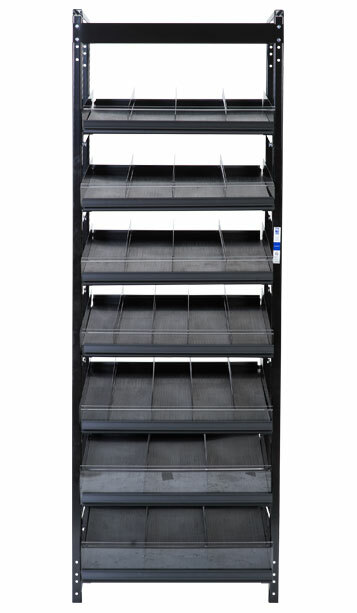 Utilizing glide sheets, a durable, low-profile alternative to disposable glides and roller mats, grants merchandisers the ability to add additional shelves. Use of low-profile glides and 1” upright keyholes provide the opportunity to adjust shelf spacing to incorporate a wide array of products. Easily removeable glide sheets offer quick clean up and replacement. Automatic FIFO product rotation eliminates the need to front face your produced or dispose of left over products on your shelf. Dividers adjust in 1/8” increments, providing a more dynamic product mix and additional facings. Removeable FlexRoller mats allow for each cleaning. 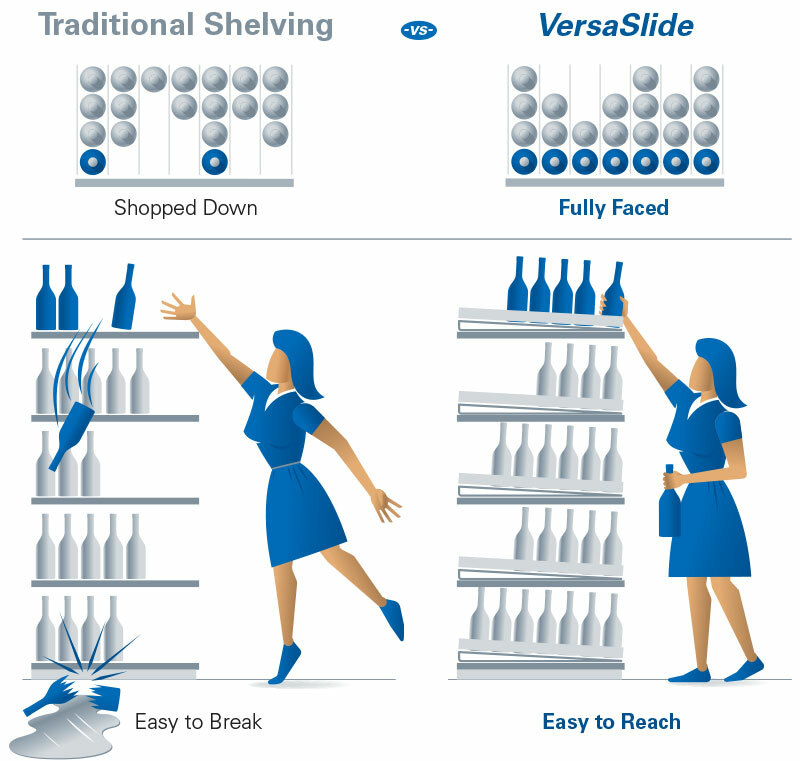 to learn more about adding versatility to your shelving with VersaRack.